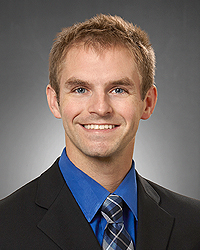 Ryan S. Foster, MD is board certified and practicing family medicine and sports medicine at the Kettering Physician Network Primary Care at Englewood Health Center and welcomes new patients. Dr. Foster has been serving the medical needs of his patients for more than three years and his commitment to patient care mirrors the Network’s mission to improve the quality of life of the people in the communities we serve. His scope of services includes all family medicine services as well as musculoskeletal problems associated with sports medicine. Dr. Foster's training includes nonsurgical management of muscle, bone and tendon injuries.